MANTICORA was formed in 1997 by Lars Larsen (vocals), Kristian Larsen (guitars) and Mads Volf (drums). In the early days the band was a foursome with bass player Rene as the last member – the young guys laying the foundation of the MANTICORA-trademark sound; hard hitting power metal with both epic and thrash elements. 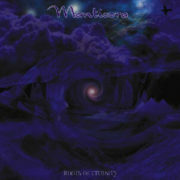 In 1998 MANTICORA signed with Intromental Management and shortly afterwards their first record deal was signed with Greek record label Black Lotus. The same year the band added an extra guitarist, and a keyboardist, to the line-up. The debut full-length disc, “Roots Of Eternity”, was released in summer 1999, and received tremendously good response from both media and fans around the world. 2000 saw the band signing with Scarlet Records, and half a year later the next opus, “Darkness With Tales To Tell”, was released, once again receiving great acclaim. In 2001 bassist Rene decided to leave the band to focus on his family. Kasper Gram was enrolled in the band. Along with the change of bassist came also the change of guitarist, as Flemming left MANTICORA and Martin Arendal joined the band. In the fall 2002 “Hyperion” was released. This was the so-far most wide-spanning work of the band; an epic concept album, based on the award winning sci-fi novel “Hyperion” by Dan Simmons. The album was whole-heartedly embraced by fans and media worldwide, and with a European tour in the spring 2003 MANTICORA took another step up the ladder. In early 2004 the band began working on and releasing their next disc, “8 Deadly Sins”, yet another conceptual one. The album was recorded in Jailhouse Studios with producer Tommy Hansen (Helloween, Pretty Maids, etc.). In February 2005 the band toured throughout Europe together with Angra and Edenbridge. The tour was a great success for the band and they made a lot of new fans and friends there. Joining the band, was session-guitarist Stefan Johansson. The band then did their first ever (highly successful) US appareance at the ProgPower Festival in Atlanta, GA.
With Martin Arendal (guitars) returning to the fold after the tour, the band once again went into studio, to record it’s 5th full-length album, the first part of the 2-album concept “The Black Circus”. Lyrically it deals with the horror story of a travelling circus. Once again produced by Tommy Hansen, the album was bigger, better and more adventurous than ever before. After a mini-European tour, alongside Andromeda, MANTICORA hit Jailhouse Studio to finalize the 2nd part of “The Black Circus”. With “The Black Circus Part 2” in their now extended catalogue, MANTICORAwent on both European and USA tours, as support for Jon Oliva’s Pain, and another tour was booked for Europe in May 2009, as support band for Circle II Circle. This time, going through 16 countries for 21 shows. In 2010 MANTICORA’s 7th full length album was released worldwide. “Safe” was an even darker journey in the musical universe of MANTICORA. A European headliner tour was booked for October 2010, taking the band through nine different countries. In August 2012, MANTICORA finally performed at the world’s largest metal festival – Wacken Open Air, and it lead to the band, re-opening the goodie-bag of writing new material. April 2013, saw the band, playing the prestigious PPM festival in Belgium, and a month later, Martin Arendal played his last show with MANTICORA (a smaller Danish show). Stefan Johansson – who appeared as session musician on the 2005 Angra tour, was enrolled as new guitarist and when bassplayer Kasper Gram left the band, MANTICORA found a completely unknown, but indecently talented guy in Sebastian Andersen. After a European headliner tour in 2014, Mads Volf decided to leave the drum-throne, to pursue other musical endeavors, and the last 3 years, MANTICORA have spent, writing a grandiose double concept album, based on the book, that leadsinger Lars has written in the meantime. Release is set for 2018. Until then – stay metal!